My first encounter with an aardwolf happened at dusk on a lonely stretch of Cape road. The animal was crossing the main highway and in the half-light, I wasn’t sure what I had seen. 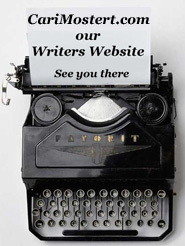 In all the years we have spent in aardwolf country, this was a first. The quick impression was of a grayish colored animal and my instant thought was “big dog”! Fortunately M knew what we’d seen so I started to research this new (to me) animal. I was very surprised to find out how striking the aardwolf’s markings actually are, given that first fleeting glimpse. OK, they spend a lot of their time underground so dust-covered also means dust-colored. 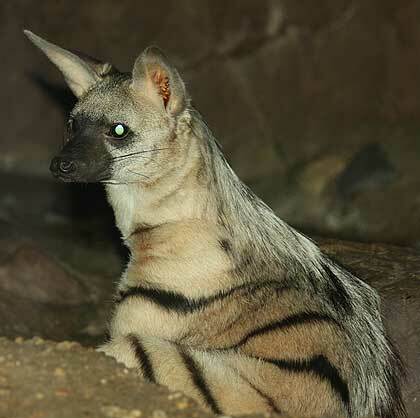 Like the Aardvark, the aardwolf isn’t actually in any danger of extinction; they are just unknown and commonly unseen. As another one of the creatures seldom seen in Africa; the aardwolf, like many of these rarely seen animals, is mainly nocturnal and very shy. The Afrikaans name means (earth wolf) because they use the abandoned underground burrows of other animals in which to sleep during the day. They only emerge at night to hunt Harvester Termites, their primary food source. 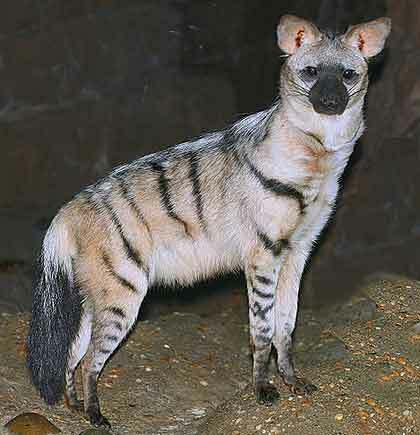 The aardwolf is classified in the same family as hyenas, although without the strong jaws and fearsome teeth of the hyena. They usually eat insects, especially termites and have an extremely good hearing. If you have harvester termites you stand a good chance of having aardwolf and if you have aardwolf you can be sure you have termites. With its long, sticky tongue, an aardwolf can eat as many as 200,000 to 300,000 termites (and a lot of ground) during a single night. Part of the colony is always left to re-establish for future meals; the better twist to sustainable use. During winter, ants and other insects, like insect larvae and eggs of terrestrial birds, can form part of their diet although they can lose up to 25% of their total body mass during lean times like a bad winter. 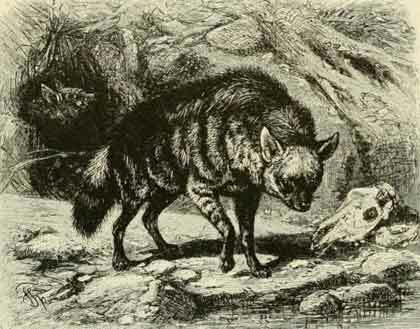 The aardwolf does look a bit like a dog, but has the same long front legs and short hind legs, characteristic of the hyena. Apart from this similarity in appearance, the aardwolf is much smaller and lighter than its cousin, weighing in at about fifty pounds (22 kgs) and standing about twenty inches (50 cms) tall at the shoulder. When frightened or threatened, the hairs of the body and mane stand erect, giving the impression of a much larger, fluffier animal. I’m hoping that our planned trips into the field to gather more adventures for Wildmoz.com will give me a chance to see more of these hidden mammals.